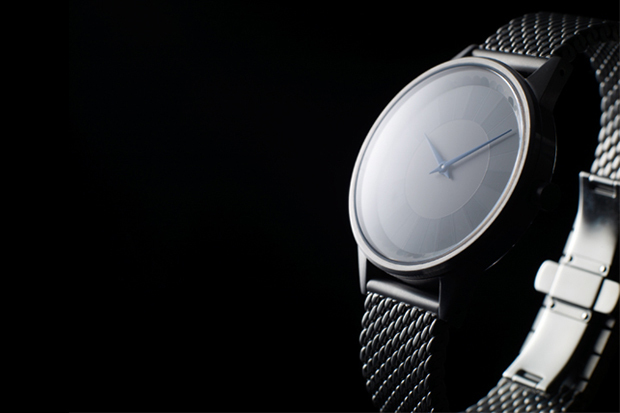 Uniform Wares have created a one-off version of their 251 watch to be part of the Maggie’s ‘Joy of Living’ project. Maggie’s is a charity that aims to help people to build a life beyond cancer. The ‘Joy of Living’ project is focused around a quote from Maggie’s co-founder Maggie Keswick Jencks – “Above all, what matters is not to lose the joy of living in the fear of dying”. An inspiring and incredibly poignant quote that is at the core of this exhibition. Max Fraser and Maggie’s have invited a selection of designers to customise an existing product, creating a one-off piece that embodies the idea of joy of living. Uniform Wares are one of the few designers who have been selected for this honour. Inspired by the one-handed liturgical clock by mathematician Paolo Uccello in Florence, Italy, the founders of Uniform Wares (Oliver and Patrick) have taken their 251 series watch and created a unique version that is inspired by something that inspires them to find joy in life. Featuring a screen printed dial, dauphine hands, domes sapphire lens and a Milanese mesh strap, the watch is classy and playful. It’s also rather different for this brand. 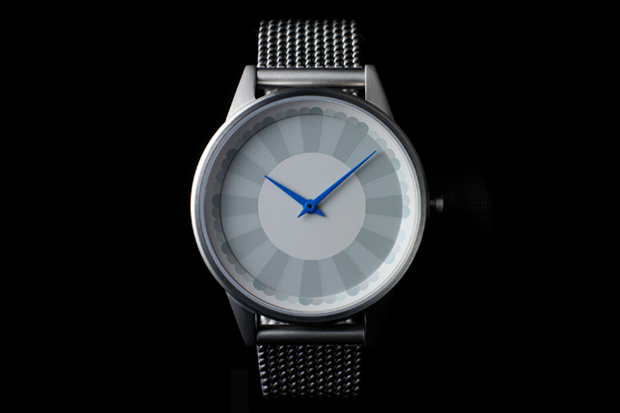 This unique 251 watch will be part of the exhibition on display at the Design Junction exhibition in London and will be on sale online and at the exhibition for £470 with all proceeds going to Maggie’s. Information on the exhibition can be found below and at the Design Junction website.